Motorola Moto z2 Force Edition has 5.5 inches, 1440 x 2560 pixels, runs on Android 7.1, including 64 GB as its internal storage and can be expanded up-to 2Terabyte. The dual rear camera adds a blur effect to the background of pictures, and retain the main image clearly focus. The z2 Force Edition also supports Moto Mods, including 360 Camera Moto Mod, and has one of the most extensive LTE band support available. Its smallish battery capacity is a cause for concern though. 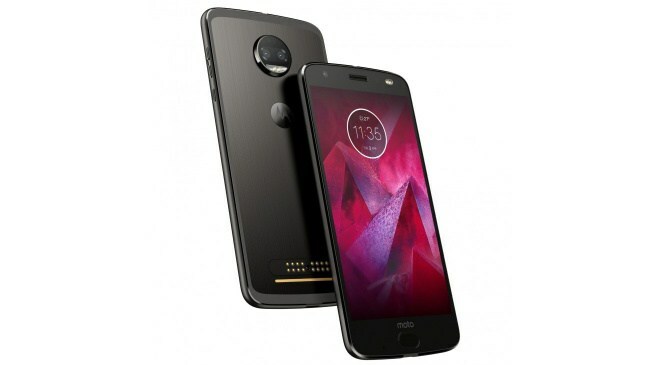 Below is the full specs of the Moto z2 Force Edition. Colours: Super Black. Fine Gold. Lunar Grey.